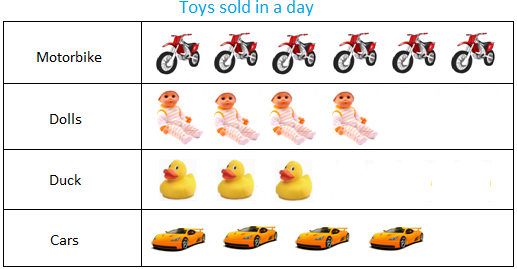 Pictograph: Any information represented through pictures is called pictograph. Collection and Recording of Data: There are different ways of collecting and recording of information (data). We shall take up two examples of collection of data. The information representation represented in the form of a table given above is called Recording or tabulating of data. (i) Name the tree which is greatest in number in the garden. 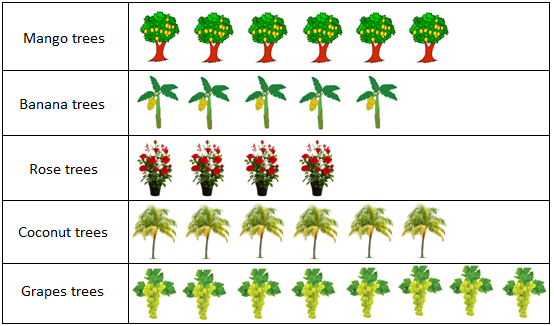 (ii) Which tree is least in number in the garden? (iii) How many trees are there in the garden? There are 6 + 5 + 4 + 6 + 8 = 29 trees in the garden.